The crescent clock is extremely stylish and would look good in the home or at work. 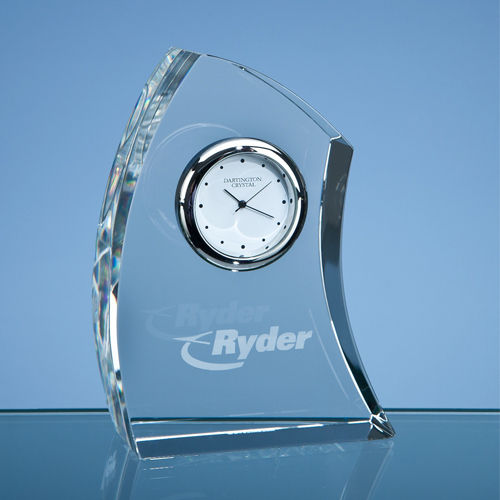 It can be personalised with any crest, logo or wording to create a gift that is sure to be treasured by it's recipient. It is supplied in a Dartington Crystal gift box.